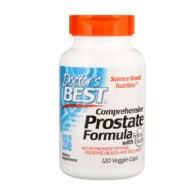 In order to maintain prostate health, a man should take the proper supplements and vitamins. Another critical part of maintaining prostate health is eating healthy. As part of your diet, you should be sure to get plenty of fiber. You should also see your doctor regularly to check up on the status of your prostate. The prostate gland in men has been known to create several potential health issues. In order to avoid health problems, you should take the necessary steps to promote prostate health over the long term. 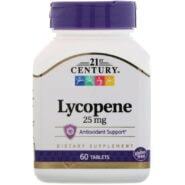 This could help you avoid prostate cancer, surgery, or a regimen of prescription drugs. 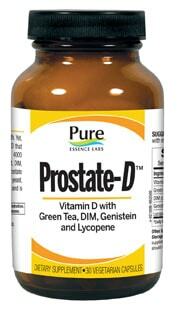 There are number of different vitamins and supplements you could take to promote prostatehealth. 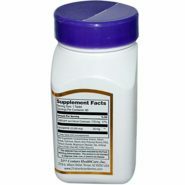 When you are looking for supplements, you need to do a fair amount of research about each one to make sure it is good for you. 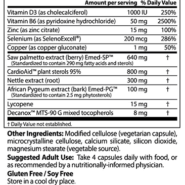 Check the ingredients to make sure you are taking all-natural substances. In addition to taking supplements, you should also make sure you are getting plenty of vitamin C, as it has been proven to help prostate health. Another important step in making sure you have a healthy prostate is to eat right. By eating the right things, you can significantly lower the odds of dying from prostate cancer in the future. As part of a healthy diet, you should make sure to get plenty of soy and fiber. Fiber is found in a variety of foods and it is critically important in promoting prostate health. You should try to eat as many fruits and vegetables as possible in your regular diet. In addition to trying to maintain your prostate health on your own, you should also regularly see a doctor. Older men should schedule an appointment with their doctor every year, so the doctor can check up on the condition of their prostate. Having a prostate exam is most likely not going to be enjoyable for you. Even though it may be uncomfortable, it is very important when it comes to preventing any issues with your prostate. Your doctor will be able to tell immediately if something is wrong with your prostate that could require further testing or treatment. If prostate cancer is found early on in the process, there are a number of treatments that can potentially save your life and treat the cancer.